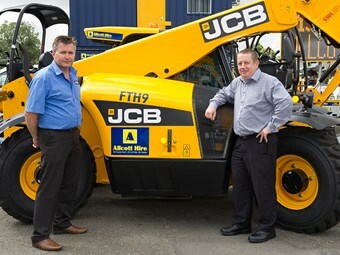 Allcott Hire has partnered with JCB Construction Equipment Australia (CEA) to offer its customers a range of large, specialised products such as telehandlers, excavators and rollers. Owen Parker from JCB CEA and Adam Watson from Allcott Hire. The company, which services Queensland, NSW, the ACT and the Melbourne metro region, has customers ranging from weekend DIY-ers to large construction contractors and government agencies, and has invested heavily over the past few years to meet the needs of the bigger end of the market. "Our range of equipment, already one of the largest and most diverse in the industry, is constantly changing and expanding to cater to our growing customer base in construction, building maintenance, traffic management, compaction, excavation, access equipment and infrastructure projects," Allcott Hire business development manager Adam Watson says. "Our partnership with JCB CEA has assisted us to focus on a range of their larger items. 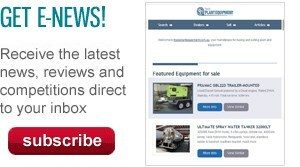 "We want to deliver a complete package to customers, delivering tried and tested equipment including specialised machines. Our goal is to offer customers the best range of tools, plant and equipment and the very best service and value for money in the industry." Allcott Hire has bought a "substantial number" of JCB mini excavators and large compaction rollers and telehandlers, Watson says, adding that the partnership with JCB CEA has allowed the company to make on-the-spot purchase decisions to meet customers’ needs. Between them, they are able to anticipate orders and have new machines delivered to clients’ sites within 48 hours. "We have tens of thousands of pieces of equipment on our books but sometimes customers need something very specific for a major project," Watson says. "JCB CEA has been working very closely with us to ensure they have stock to suit when a customer needs something special. "We recently purchased a telehandler that went on hire to the organisers of the Sydney Festival, and we’re about to take delivery of the first JCB 525-60 telehandler in New South Wales." Besides JCB CEA’s ability to react well at short notice, Watson says, it’s important to know that its machines are reliable. "They’re tried and tested," he says. "The hire industry is the hardest game there is, with machines going to different worksites and different operators so we need to be sure we can give our customers machines that are sturdy and user-friendly." Click here to find JCB earthmoving equipment for sale.